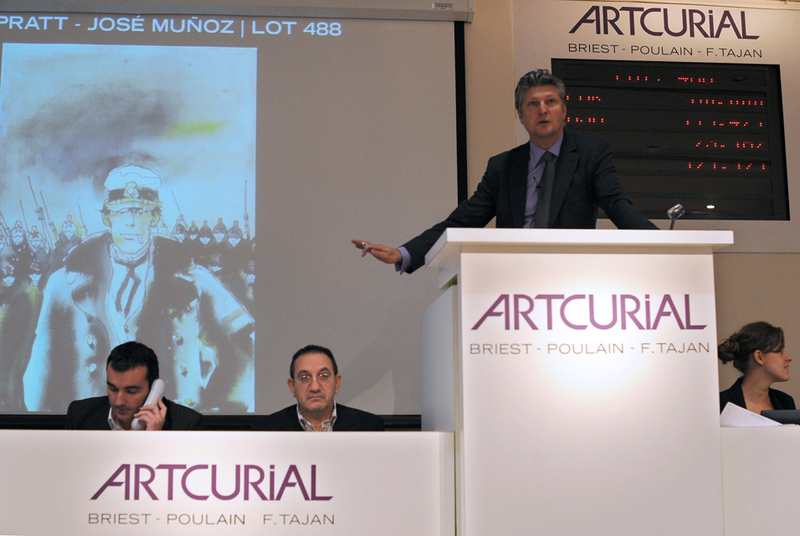 File photo showing an auction at the Artcurial gallery. AFP PHOTO / LIONEL BONAVENTURE. BEIJING (AFP).- China's state cultural authority criticised a French auction house for selling a historic seal allegedly looted by foreign troops in the 19th century, state media reported Wednesday. An unidentified official from the State Administration of Cultural Heritage said China opposes and condemns the sale of cultural relics illegally taken out of the country, the Beijing News reported. The government reserves the right to reclaim any artefacts confirmed to belong to China and hopes foreign organisations involved comply with international conventions, the official said. French auction house Artcurial on Monday sold the seal for 1.1 million euros ($1.4m) in Paris, despite threats of legal action alleging it may have been stolen from Beijing in 1860. The green jade seal, which dates from the Qianlong period (1736-95), was sold to an unidentified telephone bidder for more than five times the estimate. The Association for the Protection of Chinese Art in Europe (APACE) had urged Artcurial to withdraw the seal from the sale, saying it was stolen when Beijing's Summer Palace was pillaged by Anglo-French troops. Artcurial says in its catalogue that the seal, 2cm high by 4.5cm long, comes from the personal collection of a French family which has owned it since the end of the 19th century. APACE said it had already mandated a lawyer to "take all legal action", including filing a criminal complaint for theft and receiving stolen goods, if the sale went ahead. The event is seen in China as a national humiliation at the hands of Western armies. Beijing estimates that at least 1.5 million relics were looted at the time.